Corbeau - I Say Ding Dong Shop - Buy Stickers, Decals & Unique Automobilia. Corbeau Equipe Round Stickers. 3.5" Pair. Corbeau GT Seats Oblong Stickers. 4.5" Pair. Corbeau GT Seats Round Stickers. 3" or 5" Pair. 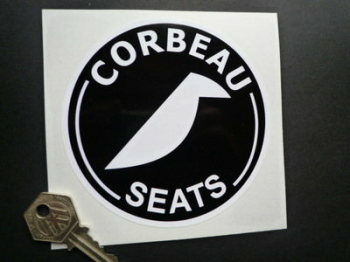 Corbeau Seats Round Sticker. 110mm. Corbeau Seats Round Stickers. 2" Pair.